The signs were all there in the rumors leading up to yesterday’s big Disney Infinity reveal in Los Angeles. Disney’s been working on a new gaming “platform,” designed to bring all of its properties together in one IP spanning across multiple consoles and outlets. But the one note we missed was the most important: this game is connected to a series of real toys that interact with Disney’s digital worlds, Skylanders-style. 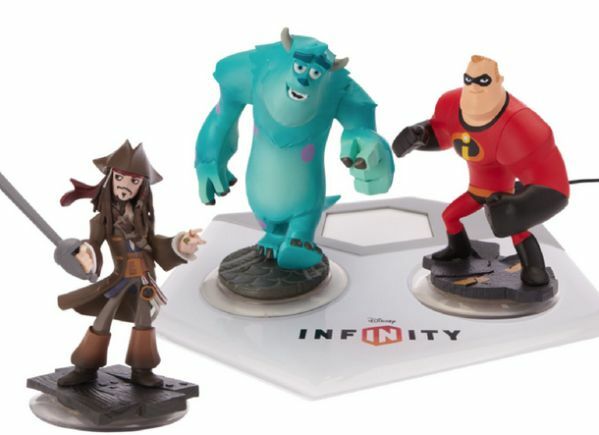 There are a few important differences, but the similarities between Activision’s enormously popular toys-into-games platform and Disney’s new Infinity initiative are quite striking. Both are inspired by smaller developers with big ideas: Toys for Bob on the Activision side, and Avalanche Software on Disney’s, which developed the “Toy Box” idea in a much smaller form as part of the Toy Story 3 game. Both are big, expandable product lines with lots of options for console (and eventually mobile) titles, and both take retail-friendly physical toys and tie them directly into engagement-friendly video game experiences. Oh, and both franchises are probably going to make their owners lots and lots of money. This entry was posted in Games, Play Station 3, video game, Xbox 360 and tagged Disney, Toys. Bookmark the permalink.